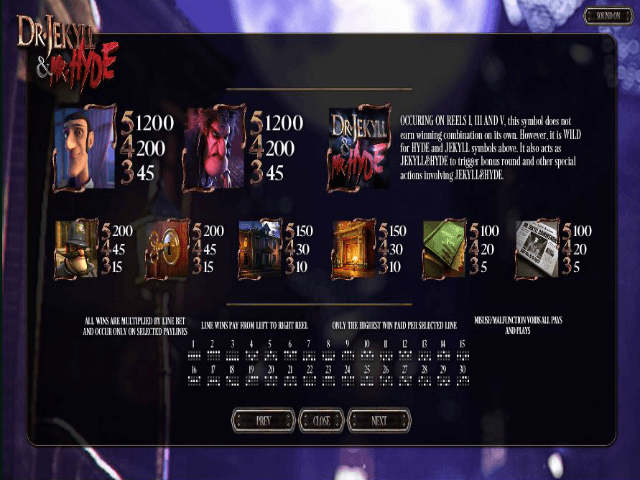 Here's a slot game with a striking difference – Dr Jekyll and Mr Hyde by leading casino software developer, Betsoft. Based on the classic 1886 novella by Robert Louis Stevenson about the good doctor and his monstrous alter-ego, Betsoft has crafted a game of impressive proportions, including some of the best graphics to have graced the slot screen for quite a while. Set over five reels and 30 paylines and featuring two bonus games, free spins and plenty of payout potential, gamers who like depth in their slot sessions are in for good value. 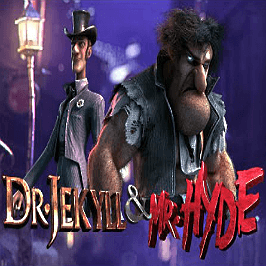 Play Dr. Jekyll & Mr. Hyde Slot Demo for Free! Play Dr. Jekyll & Mr. Hyde for Real Money! 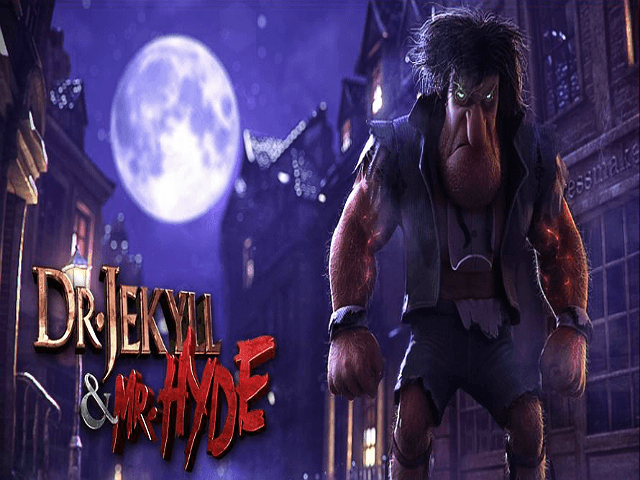 Betsoft's Dr Jekyll & Mr Hyde video slot - not to confuse with Ash Gaming's Jekyll and Hyde slot - is a high-end game that features amazing 3D graphics and interactive gameplay that make it a real movie-like gaming experience. You'll be taken into the mysterious world of Dr Jekyll and his gothic Victorian study, where a potion gone wrong has left him at the mercy of his alter-ego, the monstrous Mr Hyde. The game sees the good doctor walking in animated fashion across the five-reel slotscape, as a cascade of logos fill the reels – including Dr Jekyll, Mr Hyde, the Dr Jekyll & Mr Hyde icon, policemen, the study's key, Dr. Jekyll’s house, a fire place, a newspaper and a potion book. Blue and red potions are the key to the game's interactive bonuses, which can trigger free spins and big-win multipliers. All this mad science comes with a fair 96.17% return-to-player ratio. 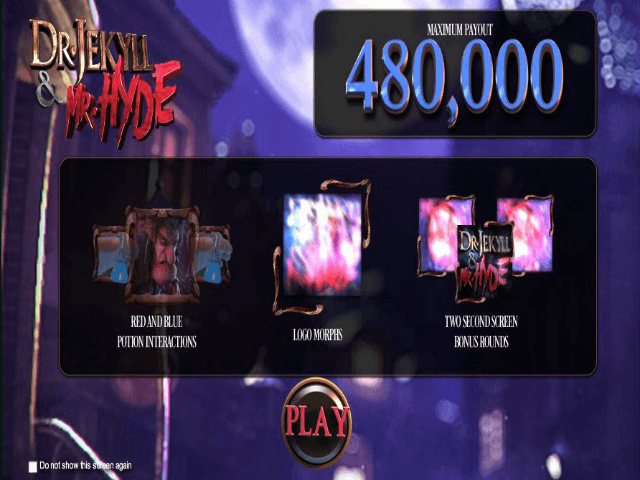 Dr Jekyll & Mr Hyde Slot can be played with full paylines from 0.6 to 150.00 per spin, with a maximum payout of up to 6000 coins for five matching icons of Dr Jekyll, Mr Hyde and Wild Hyde. The bonus games enable you to scoop some impressive rewards, with up to 480,000 credits available. 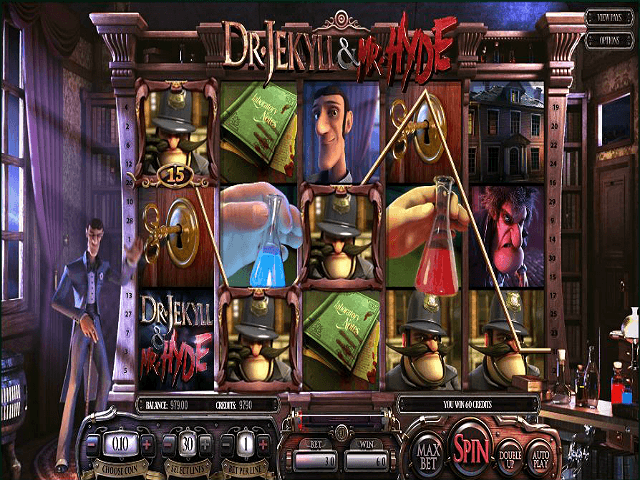 One captivating element of Dr Jekyll & Mr Hyde slot is the red and blue potions created by the good doctor and poured into the all-important potion meter. The potion icons appear on reels two and four, causIng all sorts of mayhem. Red Potion Bonus: When the red potion appears next to the Dr Jekyll symbol on the reels, every icon becomes the Wild Hyde – causing a manic rearranging of symbols and combinations, with enhanced payout potential. Blue Potion Bonus: Spinning the blue potion next to Mr Hyde's icon triggers a 20x multiplier on your spin value, along with a multiplier ranging from 5x to 20x. If 100 red potions are collected and added to the meter during a session, you're awarded the free spin bonus. Keep spinning until the meter fills up with 12 blue potion icons. If you match two Mr Hyde symbols and the Dr Jekyll and Mr Hyde icon appears on reels two, three and four on a spin, then you get to enjoy the mad frenzy bonus game. You must use your wit to send the crazy Mr Hyde left or right to avoid the London police. You can win a spin multiplier up to 30x your stake. The potion bonus is activated when two Dr Jekyll icons line up on each side of the Dr Jekyll and Mr Hyde symbol over reels two, three and four. Your challenge is to formulate a serum (by selecting the right ingredients) that turns Hyde back into the good doctor before it's too late. Here you can win up to a 120x multiplier. Betsoft is gaining impressive accolades for games like Dr Jekyll & Mr Hyde slot, which are fully deserved. This is a blockbuster of a game that offers great entertainment, as well as reliable payouts and tempting jackpot potential. Share this Dr. Jekyll & Mr. Hyde Review today! If you like Dr. Jekyll & Mr. Hyde, you'll love these slot titles too!